Companies operating in the construction industry typically work on multiple tasks simultaneously, all of which come together into a cohesive project. Most of these tasks are field operations. The key of successful work in the field is constant communication. Interruptions in communication, delays and mistakes can result in huge costs for the company. Many companies still experience difficulty with timely information and this influences the efficiency of work. Modern mobile solutions help optimize productivity of the field teams offering powerful mobile apps for work with data, management, time tracking and more. Here are the 3 reasons why mobile apps should be a part of a construction project. Better communication and documentation between the field and the office can mitigate risks, avoid claims and help complete the projects on time and on budget. Employees are exempted from the need to constantly drive to the office and process the documents. Mobile apps allow keeping all the necessary forms in a digital format on the employee’s smartphone. Snappii, a leading Mobile Business Apps company, provide even more progressive solution in its apps. Using Snappii construction apps, you can process the data and create complete professional reports right in the app. The reports can be instantly shared via email or other ways. Construction projects usually involve lots of equipment, employees and materials. Managers need to keep an eye on every aspect and mobile apps significantly help with this. One construction app can sync and organize even several construction projects at the same time. 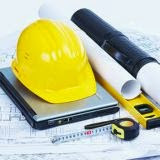 For example, Construction Manager app from Snappii. This #1 all-in-one construction app consists of construction maintenance logs and daily reports, project estimates and timesheets. This app is a unique opportunity to control the entire project path with ease and save a lot of time and money. Construction is a high-hazard industry and safety is something which always should be the top priority. Mobile safety apps allow users to conduct constant inspections of firefighting and protection equipment, maintain safe workplace conditions, inform the employees, report of emergencies and more. Also, safety apps make safety documents always available for any employee or regulating agency. Snappii offers many construction apps to automate bidding, timesheets, inventory management, equipment tracking, inspections and other important tasks done by field employees. The main uniqueness of Snappii apps is their 100% customization. Any app can be modified according to the special needs of any business in a few weeks and for an affordable price. After working in the industry for years, Snappii now believes they have a mobile solution to meet literally any task. Capterra has included Snappii in the top 20 most popular construction management software report. You can read it here. There is over a thousand mobile business apps built on Snappii mobile app development platform in different industries used by 500,000 users worldwide. If you are still searching for the construction app, Snappii is the best choice. Snappii, a cloud based codeless platform for rapid native mobile app development, deployment and management of Enterprise Mobile Apps, announces a featured app of the week that has been installed on over 500, 000 devices all over the world.